According to a new report North America High-End Lighting Market, published by KBV research, the North America High-End Lighting Market would witness market growth of 5.2% CAGR during the forecast period (2017-2023). The US market holds the largest market share in North America Fluorescent Lights High-End Lighting Market by Country in 2016, and would continue to be a dominant market till 2023; growing at a CAGR of 3.4 % during the forecast period. The Canada market is expected to witness a CAGR of 7.3% during (2017 - 2023) in North America LED Lamps High-End Lighting Market. Additionally, The Mexico market is expected to witness a CAGR of 5.4% during (2017 - 2023) in North America HID Lamps High-End Lighting Market. 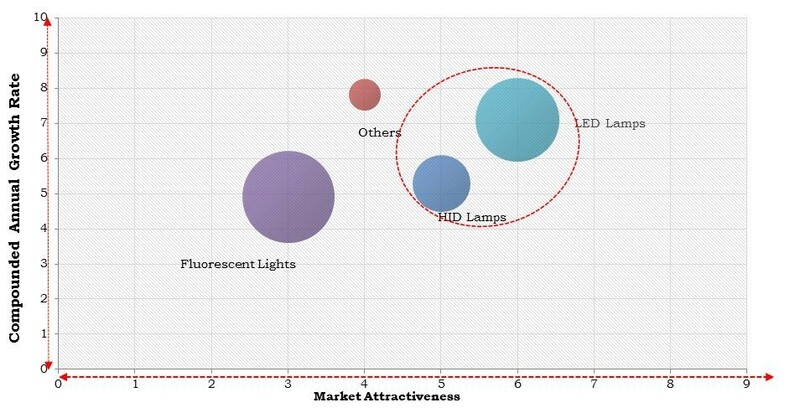 The Wired market holds the largest market share in North America High-End Lighting Market by Application in 2016, and would continue to be a dominant market till 2023. The Wireless market is expected to witness a CAGR of 5.9% during (2017 - 2023). The Residential market holds the largest market share in Mexico High-End Lighting Market by End User in 2016, and would continue to be a dominant market till 2023; growing at a CAGR of 5.4 % during the forecast period. The Industrial market is expected to witness a CAGR of 6.7% during (2017 - 2023). Additionally, The Commercial market would garner market value of $211.4 million by 2023. The market research report has exhaustive quantitative insights providing a clear picture of the market potential in various segments across the countries in the region. The key impacting factors of the North America High-End Lighting Market have been discussed in the report with the competition analysis and the elaborated company profiles of Acuity Brands, Inc., Eaton Corporation Plc. (Cooper Lighting, LLC), Cree Inc., Digital Lumens, Inc., General Electric Company, Honeywell International Inc., Legrand S.A., Koninklijke Philips N.V., Lutron Electronics Co., Inc., and Streetlight. Vision.